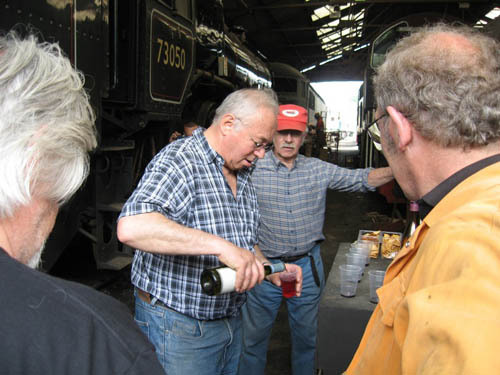 They received an excellent welcome by the persons in charge and the members of the museum Nene Valley Railway ( NVR ). A ceremony was organize. Chris Randall, the last owner, gave symbolically the two regulators to Guy and Bernard. After these festivities the work was there. It was necessary to secure parts not fastened, to grease as well as them limp in axles, to put back the elements of superheather stored in 250m and to get back 200 kilos of pieces constituting the cabin (regulator, manometers, level of water, Flaman, injectors…). A lot of documents and plans concerning the locomotive were supplied. It will be a precious help for its restoration. 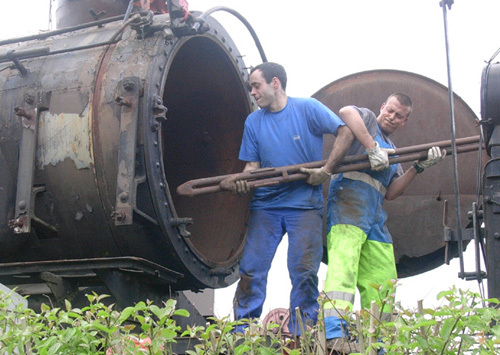 The NRV will link the track on which is stored the engine to facilitate its installation on the trailer of the truck. This special convoy of 32 meters should leave Wansford on June 23rd and to be loaded on a ferry to Cherbourg. The engine should arrive at Longueville during week 26. 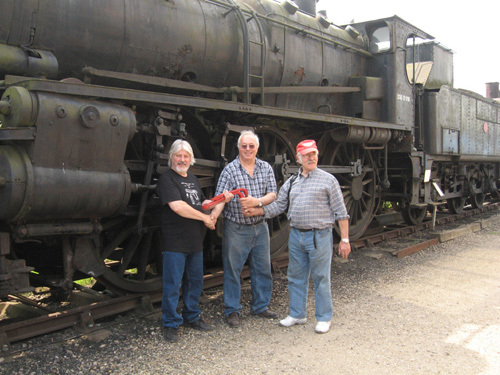 “Heritage Days” 2011 : our roundhouse is 100 years old ! 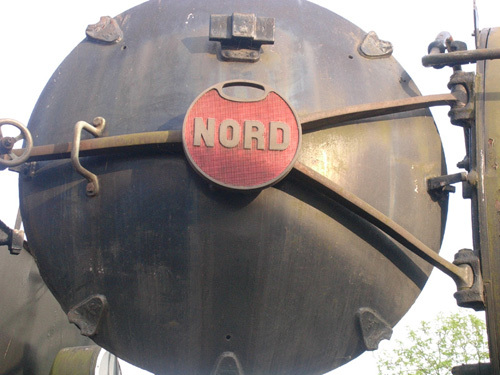 NORD 3.628 : Welcome to you !